For the past five years, Integrated R&D Informatics & Knowledge Management has brought together senior executives and leaders in R&D informatics from pharma, large biotech and their partners to discuss the latest ways to manage the integration of data from disparate sources to create valuable knowledge for their organizations. This year’s conference will focus on addressing how informatics teams are enabling and supporting internal collaboration along with externalization of data, helping deal with pre-competitive activities, as well as continuing to support translational research, all directed at the overall goal of improving productivity and efficiency in a cost-effective manner. Pharmaceutical companies increasingly embed their research and early development organizations into vibrant academic hubs to enhance innovation and asset finding. Roche has recently opened “TCRC, Inc.”, soon to be located in New York City. The presentation will focus on our Big Data and Externalization approaches to support the TCRC, and will exemplify how we impact drug development decisions using informatics. Through OIDD, Lilly has established a network of top global research talent at academic and biotech institutions to provide them access to proprietary, in vitro phenotypic, and target-based assays (PD2 and TargetD2). In addition to supplying data that may lead to potential collaborations, Lilly has recently been partnering to deploy additional design tools for OIDD investigators to assist in designing compounds submitted to the assays through this collaboration. Researchers face a growing challenge in managing vast quantities of unstructured data to find relevant information that can guide their research. A new semantic search engine that incorporates text-mining capability along with customizable dictionaries and taxonomies rapidly finds facts and provides summary tables from multiple sources, including scientific abstracts and full-texts, grant applications, and in-house documents. This ability to accurately retrieve and summarize information significantly increases researcher productivity compared to traditional keyword search. Pharma companies have historically been involved in many partnerships fueling their discovery engines, supported with non-optimal IT systems. With recent wide-spread adaptation of hosted solutions and cloud computing, there is an opportunity now to implement informatics solutions such that collaborative exploration of the data generated in partnerships becomes possible. We also discuss the opportunities to build parts of the ecosystem in a pre-competitive manner and our experience in deploying open source tools. This presentation will overview Moderna’s aggressive push into cloud solutions spanning applications across R&D, development, G&A, and compliance functions. Moderna’s cloud-based informatics workflows for the design, development, screening, and delivery of messenger RNA therapeutics will be shared along with associated challenges of Big Data, cloud security, collaboration, and cross-cloud integration. The accessibility of information within any R&D organization is key to the successful collaboration and development of a research pipeline. The holy grail for most research organizations is the one-stop search (aka. Google-like search for R&D). In this panel we will discuss the approaches a number of research organizations have taken, successes, failures and lessons learned. 10:30 Registration Systems: Applications or Data Stores? Registration systems are not applications that usually stand on their own. Their value comes from the enablement of downstream data analysis and sample tracking through proper management of concept and sample metadata. As such, most registration systems offer little intrinsic value to those that use it directly and user compliance can be a challenge. Thus, it is important to adapt to workflows, as opposed to making users adapt to them. 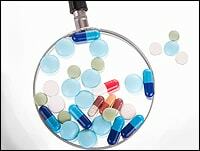 The management of biological samples for testing as biotherapeutic agents requires a unique type of LIMS to handle both workflows and sample registration. We are currently engaged in a couple of projects at Takeda to create a working solution for both research and preclinical development samples to be managed across multiple R&D sites. The project status and business impact will be reviewed. Merck is evolving our electronic lab notebook from a straightforward paper notebook replacement to a platform that structures data and results, provides basic LIMS-like capabilities and enables powerful search and analytics. We will share our experiences in providing a solution to support some of the stages of biologics research and development. The benefits of informatics-driven data management systems are well known in the small molecule therapeutics arena. Extending these systems to supporting biotherapeutics presents a number of challenges. We present a novel data management system, BioQuest, integrating bespoke and best in class software systems designed to capture and integrate NBE data at UCB. We will focus on registration systems, in particular on the antibody and non-antibody protein registration system based on the Genedata Biologics platform. There are currently hundreds of commodity technologies for handling scientific information – each with its own scope and limitations. The application of collaborative technologies to interrogate potency, selectively, and therapeutic windows of small molecule structure activity relationship (SAR) data will be presented in 5 case studies. Given external (public and collaborative) data grows faster than internal data, novel collaborative technologies to gracefully manage combined external and private data provide an ever-increasing competitive advantage. The tranSMART open source translational research knowledge management software continues to make forward progress since the initial release in 2012. Specific use cases from a variety of projects incorporating tranSMART will be walked through to highlight emerging pre-competitive collaboration models including opportunities, new capabilities, and unresolved challenges. The current state of open project sustainability and approaches taken by Recombinant and other groups to ensure the software increases in value for adopters will be explored. The Innovative Medicines Initiative (IMI) is a public-private partnership between the European Federation of Pharmaceutical Industry and Associates (EFPIA) and the European Union. It is dedicated to overcoming key bottlenecks in pharmaceutical research by enabling pre-competitive collaboration between industry and academic scientists. In this talk we will review the Knowledge Management activities undertaken by the IMI and how they are delivering new services and capabilities that can enhance pharmaceutical R&D. These interactive discussion groups are open to all attendees, speakers, sponsors, & exhibitors. Participants choose a specific breakout discussion group to join. Each group has a moderator to ensure focused discussions around key issues within the topic. This format allows participants to meet potential collaborators, share examples from their work, vet ideas with peers, and be part of a group problem-solving endeavor. The discussions provide an informal exchange of ideas and are not meant to be a corporate or specific product discussion. At what extent is data exchange required in the era of R&D virtualization? How do we balance ollaboration with security risk? What tools are required to enable virtualization? Will these be vendor supplied or custom? How do we implement systems that users want to use? What are some good practices? Where are data standards making a difference? What does the perfect translational informatics platform look like and how do we get there? High-throughput instruments and the explosion of new results in the scientific literature is both a blessing and a curse to the bench researcher. Effective design and implementation of computational tools that genuinely facilitate the generation of novel and significant scientific insights remains poorly understood. This talk presents efforts that combine natural language processing for information extraction, graphical network models for semantic data integration, and some novel user interface approaches into a system that has facilitated several significant discoveries. This presentation describes our efforts at the J. Craig Venter Institute (JCVI) in collaboration with the Texas Advanced Computing Center (TACC) in the development of a high performance cyber-infrastructure that combines visual analytics and parallel computing for data-driven selection and optimization of analytical pipelines based on objective performance metrics. We demonstrate the application of these principles and infrastructure for the analysis of genome-wide gene expression and high-throughput, high dimensional flow cytometry data in clinical and translational research settings. Life sciences organizations have started to change the way they discover, develop, and commercialize medicines to address patient, regulators and payer needs at every stage of the product lifecycle. Real world data (longitudinal and integrated patient information) is the key to answering complex questions in R&D and product commercialization. In order to access patient data across boundaries, companies and regulators are experimenting with various data and analytics collaboration models. This talk presents key lessons learned. There has been a significant increase in the usage of Spotfire by project teams in Emeryville for visualization and analysis of data. To help streamline development activity and support the needs of project teams with data analysis and visualization, NIBR-IT in collaboration with computational chemistry group in Emeryville developed project based Spotfire templates. Templates were built leveraging existing technologies for retrieval/import of data and incorporated common elements of analysis and visualization(scaffold assignment, ligand, lipophilic efficiency, activity ratios, r-group decomposition etc). Predefined visualizations and filters helped accelerate project team decision making. With the rapid development of high-throughput technologies and ever-increasing accumulation of whole genome-level datasets, an increasing number of diseases and drugs can be comprehensively characterized by the changes they induce in gene expression, protein, metabolites and phenotypes. Integrating and querying such large volumes of data, often spanning domains and residing in diverse sources, constitutes a significant obstacle. This talk presents two distinct approaches that utilize these data types to systematically evaluate and suggest new disease indications for new and existing drugs. Most of the scientific process data generated are not free to access, even if managed in databases. At UCB, data was recently made available including its context. It allows process developers to draw easily designed space and define critical parameters. To support investigation studies as impact analysis, manufacturing dashboards and trends are automatically published. An example of correlation between process data and patients’ clinical responses will be presented as an illustration of advanced data analysis. The NIH-funded LINCS consortium is producing an extensive dataset of cellular response signatures to a variety of small molecule and genetic perturbations. We have been developing the LINCS Information FramEwork (LIFE) – a specialized knowledge-driven search system for LINCS data. John Conway, Enterprise Informatics, Schrödinger, Inc.
Drug discovery is the ultimate team sport. Schrödinger is developing a collaborative and knowledge engineered platform—LiveDesign—to help scientists not only capture their ideas and best practices, but to exploit and share these with select team members. Above and beyond the aggregation of 2D data, this platform will allow users to bring together 3D data with its associated annotations. LiveDesign will ultimately lead to better patient outcomes, promoting better scientific communication by exposing data, ideas, and colleague feedback during the design and redesign phases of molecular discovery. To achieve Biogen Idec’s strategic goals, we have built a cross-disciplinary team to focus on key areas of interest and the required capabilities. To provide a reusable set of IT services we have broken down our platform to focus on the Ingestion, Digestion, Extraction and Analysis of data. In this presentation, we will outline how we brought focus and prioritization to our data sciences needs, our data sciences architecture, lessons learned and our future direction. There has been an explosion of data across discovery, development, and beyond and all informatics groups are struggling with major challenges in computation, storage and analysis. In a large pharmaceutical environment, the value propositions of informatics lie primarily in three dimensions which I describe. In the larger hyperdynamic environments of research technologies, information technologies, and modern science, interdisciplinary and collaborative approaches become imperative to execute translational strategies effectively. Erik Bierwagen, Ph.D., Principal Programmer Analyst, Department of Bioinformatics, Genentech, Inc. This talk will cover our efforts at creating an integrated informatics system for animal studies from birth to death and beyond. Our efforts span many different disciplines and groups, but share the common effort of integrating data seamlessly. Tuesday, 15 October 2013 — AstraZeneca today announced that MedImmune, its global biologics research and development arm, has acquired Spirogen, a privately-held biotech company focused on antibody-drug conjugate technology for use in oncology. The Spirogen group was founded in 2001 as a spin-out from several institutions including University College London and with partial funding by Cancer Research UK. It is majority owned by Auven Therapeutics. It has developed a novel class of highly potent cytotoxic warheads based on its proprietary pyrrolobenzodiazepines (PBDs), DNA minor groove binding agents, which bind and cross-link specific sites of DNA of the cancer cell. This blocks the cancer cells’ division without distorting its DNA helix, thus potentially avoiding the common phenomenon of emergent drug resistance. Spirogen has been developing its PBD technology for more than ten years, including a standalone PBD agent in a Phase II study in acute myeloid leukemia. Its business model has been to partner its technology with pharma and biotech for use in the development of novel drugs. It has a number of industry collaborations, including collaborations with Genentech announced in 2011 and with ADC Therapeutics announced in 2012. For further information, please visit: http://www.spirogen.com. ADC Therapeutics (ADCT) is a Swiss-based oncology drug development company that specialises in the development of proprietary antibody-drug conjugates (ADCs) targeting major cancers such as breast, lung, prostate, renal and blood. The company’s ADCs are highly targeted drug constructs which combine monoclonal antibodies specific to particular types of tumour cells with a novel class of highly potent PBD-based warheads. The company was launched in 2012 with a $50m commitment from private equity firm Auven Therapeutics. ADCT has access to warhead and linker chemistries via existing agreements with Spirogen. It operates a virtual business model based in Lausanne, Switzerland. For further information, please visit: http://www.adctherapeutics.com. Auven Therapeutics was founded by Stephen Evans-Freke and Dr. Peter B Corr in 2007 with an innovative investment strategy that enables it to operate as a drug development company while remaining structured as a private equity fund. Auven Therapeutics has a portfolio of biologic and small molecule drug candidates for a range of therapeutic indications including cancer, ophthalmic conditions, women’s health and orphan diseases. Auven manages its drug development activities from its bases in Lausanne, Switzerland, New York, USA and Hamilton, Bermuda. Auven Therapeutics Management LLLP, based in the US Virgin Islands, serves as its Investment Advisor. For further information, please visit: http://www.auventx.com. MedImmune is the worldwide biologics research and development arm of AstraZeneca. MedImmune is pioneering innovative research and exploring novel pathways across key therapeutic areas, including respiratory, inflammation and autoimmunity; cardiovascular and metabolic disease; oncology; neuroscience, and infection and vaccines. The MedImmune headquarters is located in Gaithersburg, MD, one of AstraZeneca’s three global R&D centres. For more information, please visit http://www.medimmune.com.